The high-low hem… the final chapter? Remember that high-low hem obsession that started with the Scout tee? Of course you do! I only told you like a week ago! 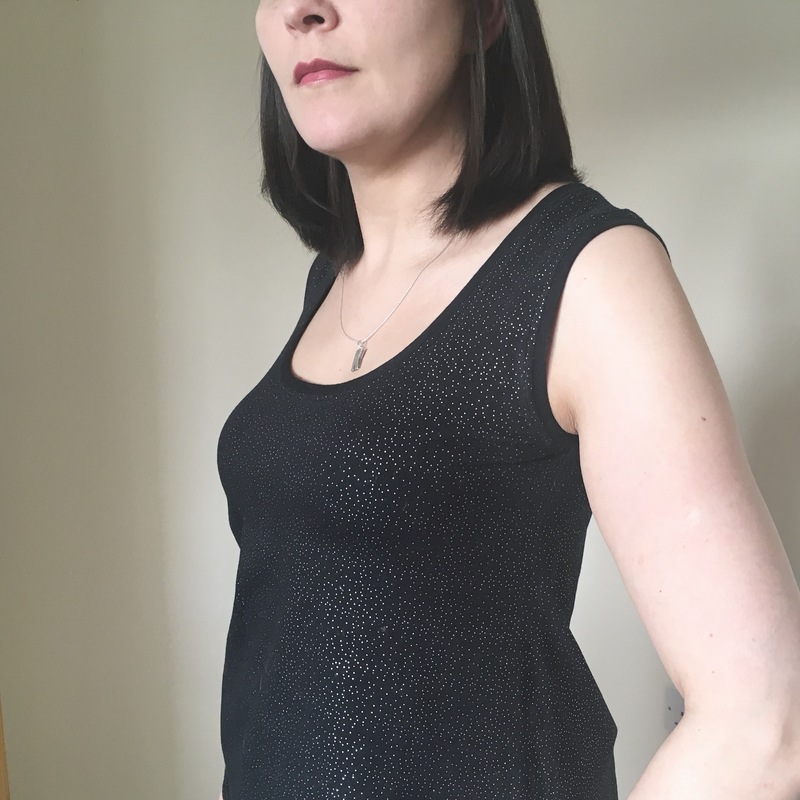 Well hold onto your knickers people (unless you’re in a public place… those who are, are welcome to hold onto their hats, or other headwear)… this version involves an even more dramatic pattern hack!! This is my Plantain version! 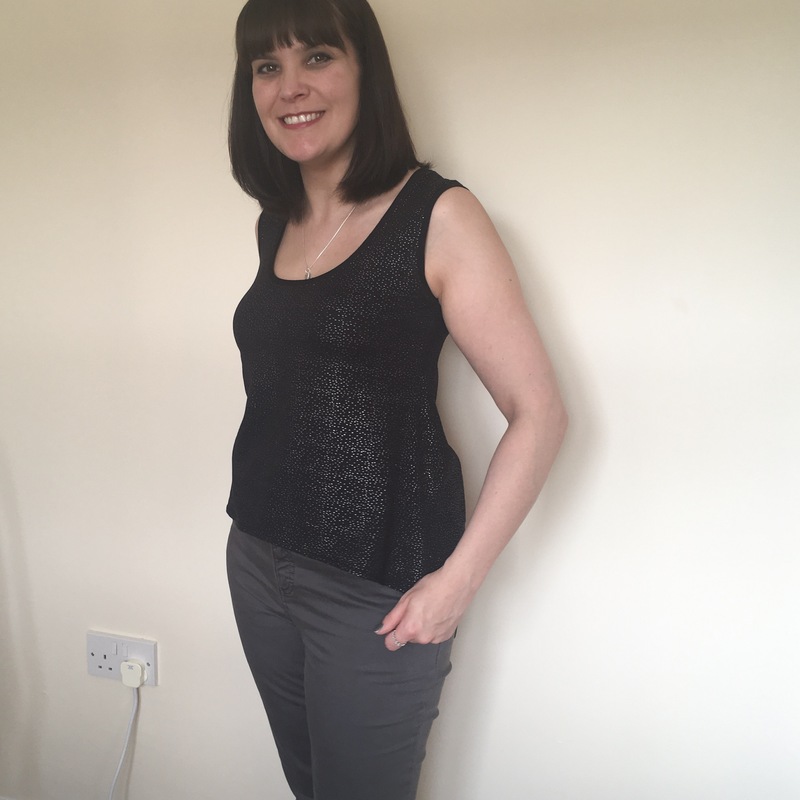 On this one I did the usual French curve lift to the front hem, and a very slight dip to the back hem. It’s not as dramatic as the Scout or the dress, but it counts as a high low. Now I know what you’re thinking… where in the name of all that is good and pure are your sleeves?! Yes ladies and gentlemen I made my Plantain sleeveless!! I followed the Coletterie instructions for creating an edge binding for jersey fabric (short version is you measure your hole and measure the binding strip 10% smaller). It’s the first thing I’ve tried anything so experimental and I’m beyond relieved that it paid off! Go and check it out on their website… it’s got great step by step instructions. Now a word about that fabric. Apologies for the ‘up nose’ shot but it was really the only photo that even remotely showed that those little dots are shiny and silver!! Eeep my t shirt sparkles!! I bought this fabric from Fabricland on a recent trip down to visit my parents… it was one of those ones that lies there on the shelf screaming your name until you go over and reassure it that you are in fact taking it home… you know the type (a touch needy though if I do say so). 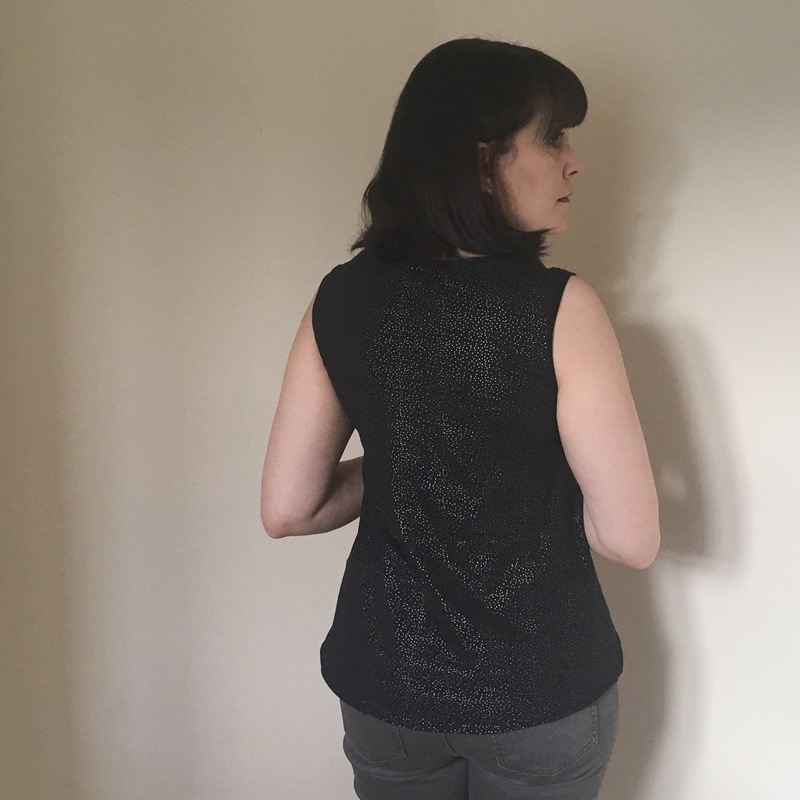 It’s not ideally suited to this pattern as it’s quite stiff, it makes things a bit boxy as above… but I wasn’t really going to make anything else with it so there. I decided that a nice contrast would be to have the neck and armholes in plain black, so for them I just flipped the fabric upside down. And Bobs your uncle. Just look at those sparkles. Maybe this would have been a good photo for the sparkle effect… but you’ve already seen up my nose and who would want to deprive you of that. 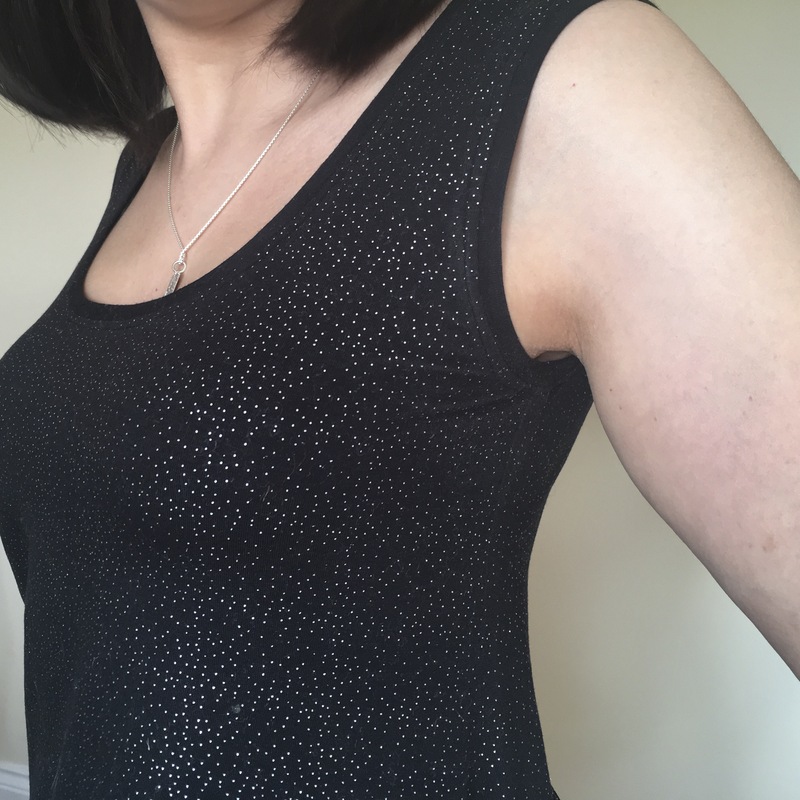 The only change I would make with the sleeveless version would be to cut the armholes wider… the banding does make them rather snug, but not so as anyone would notice… just a comfort thing really. The neck scoop is perfect though so I ain’t touching that! That is so beautiful! Well done!